PESHAWAR, Pakistan (AP) — Four days of fierce fighting in northwestern Pakistan left 30 soldiers and nearly 100 militants dead as the army attempted to wrestle control of a remote, mountainous valley from the Taliban and their allies, military officials said Monday. The army launched its offensive in the Tirah Valley on Friday after weeks of fighting between rival militant groups forced tens of thousands of civilians to flee the area. The valley is located in Khyber, part of the semiautonomous tribal region bordering Afghanistan, the main sanctuary for the Taliban in the country. The army has launched scores of operations against the Pakistani Taliban in the tribal region in recent years, but certain areas like Tirah have remained outside their control. The Taliban have remained a serious threat and continue to launch attacks throughout the northwest and other parts of the country with frightening regularity. The Pakistani Taliban have been waging a bloody insurgency against the government because of its alliance with the U.S. in fighting Islamic militants, and to establish Islamic law in the country. The group is allied with the Afghan Taliban but has focused its attacks inside Pakistan instead of Afghanistan. The fighting in Tirah over the past four days has killed 30 soldiers and 97 militants, military officials said, speaking on condition of anonymity because they were not authorized to talk to the media. The air force has also conducted heavy bombing during the offensive, they said. The officials claimed that the army has successfully seized control of a large portion of the valley from the Pakistani Taliban and their ally, Lashkar-e-Islam. The claims could not be independently verified. In recent weeks, the Pakistani Taliban and Lashkar-e-Islam have been fighting against another militant group, Ansar-e-Islam, which is allied with pro-government tribesmen. Over 40,000 people have been displaced from the valley since mid-March, according to a recent report by the U.N.'s humanitarian arm. Many of the displaced have sought refuge in the city of Peshawar and other parts of northwest Khyber Pakhtunkhwa province. They are in need of food, shelter, health care and clean water, said the U.N. There is concern that the Taliban could step up their attacks over the next few weeks in an attempt to hamper parliamentary elections scheduled for May 11. The vote will mark the first transition between democratically elected governments in a country that has experienced three military coups and constant political instability. The run-up to the election has been buffeted by the return of former military ruler Gen. Pervez Musharraf after more than four years of self-imposed exile. On Monday, Pakistan's top court ordered Musharraf to respond to allegations that he committed treason while in power and barred him from leaving the country only weeks after he returned. The Supreme Court acted in response to private petitions alleging Musharraf committed various treasonable offenses while in office, including toppling an elected government, suspending the constitution and sacking senior judges, including the chief justice. 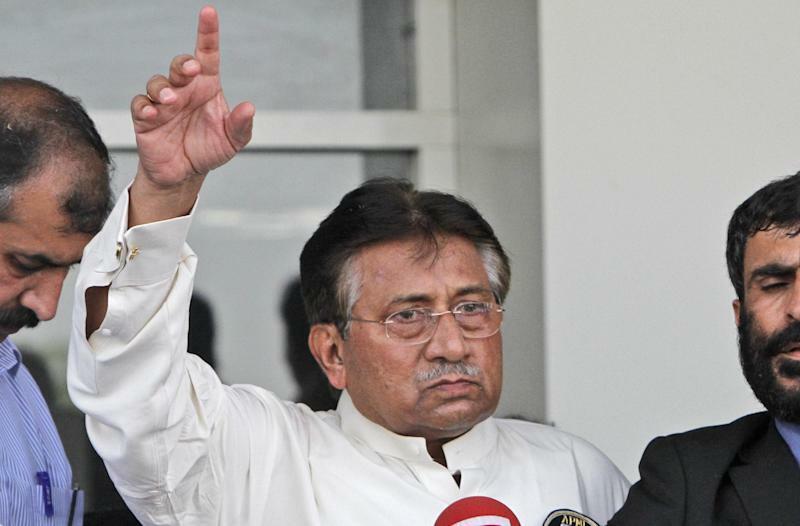 If convicted of treason, Musharraf could be sentenced to death. The hearing is scheduled to be held on Tuesday. Musharraf could appear in person, or send a lawyer. "People want justice, rule of law and implementation of the constitution," one of the petitioners, lawyer Chaudhry Akram, told two Supreme Court judges overseeing Monday's hearing. Musharraf seized power in a military coup in 1999 but was forced to step down almost a decade later under the threat of impeachment by Pakistan's main political parties. He left the country in 2008 and returned last month to run in upcoming parliamentary elections. It has been a bumpy homecoming for Musharraf. He was met by only a couple thousand people at the airport in the southern city of Karachi when his flight touched down from Dubai, a sign of how little support many analysts say he enjoys in Pakistan. The Taliban have threatened to kill him, and he faces a series of legal charges that he has denied, including some related to the 2007 assassination of former Prime Minister Benazir Bhutto. However, he registered a victory on Sunday when he was given approval to run for parliament from a remote district in northern Pakistan. Judges rejected his nomination in several other districts, and lawyers have said they plan to go to a high court to challenge his right to run. 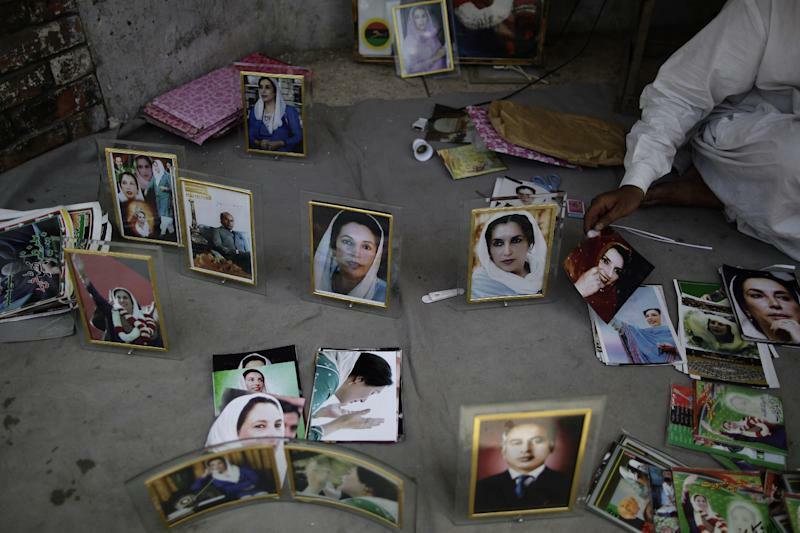 Pakistan's political system allows a candidate to run for several seats simultaneously. Musharraf's ability to run also could be complicated by the treason allegations against him, though it remains to be seen whether he will actually be charged and convicted. According to the law, only an official of the federal government could register a case against Musharraf for treason. One of Musharraf's aides, Saima Ali Dada, declined to say whether the former leader would appear in person before the judges Tuesday or send a lawyer, citing security reasons. The judges reaffirmed that Musharraf should be prevented from leaving the country while legal proceedings involving him are under way. The high court in southern Sindh province earlier ordered that the former military ruler be placed on an exit-control list to prevent him from leaving. Khan reported from Islamabad. 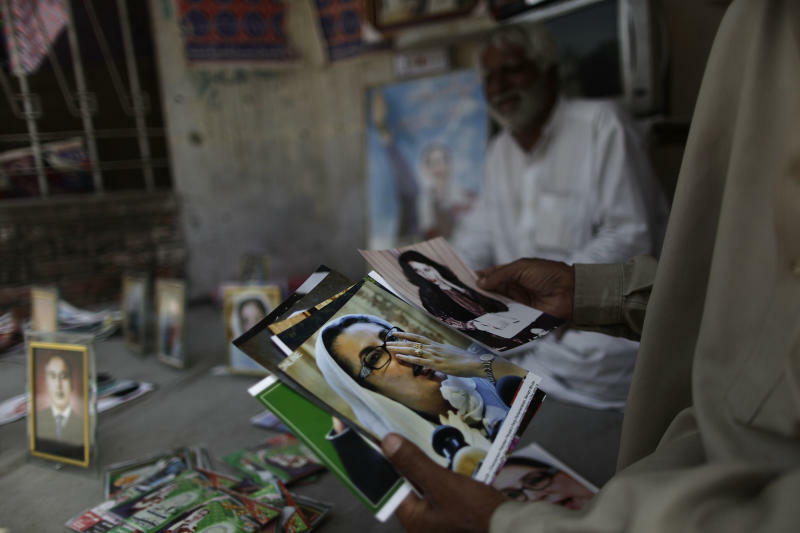 Associated Press writers Sebastian Abbot and Rebecca Santana in Islamabad contributed to this report.